For who: Anyone with a sloped roof. 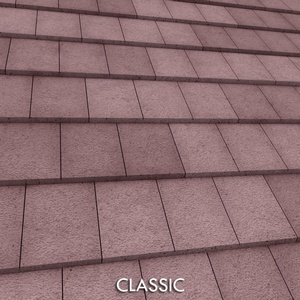 What: "Hurricane-Proof" Advanced Roofing Tiles. Where: Exclusive first offering across Florida. When: As soon as you're ready! Installations can begin ASAP. Why: Lower your monthly costs and protect your home for decades. How: Just reach out to Uptown Energy Solutions and we'll take care of the rest! 3 IN 1 ROOF Ready to Take on Tesla in Solar Roofing. Building Integrated Photovoltaic Walls and Roofs that Generate power and Save Energy. 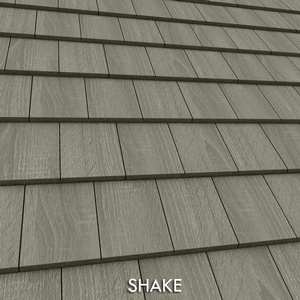 3 IN 1 ROOF, Inc is an American roofing tile manufacturer with headquarters in Dayton, Ohio. 3 IN 1 ROOF (formerly Eternatile Inc) was founded by a licensed Roofing Contractor from South Florida with more than 20+ years experience performing roof repair and installations. Standard roof products like asphalt, concrete, clay, aluminum, plastics, and rubber buildup and retain heat throughout the day, increasing surface temperatures well into the upper triple digits (especially here in Sunny Florida). 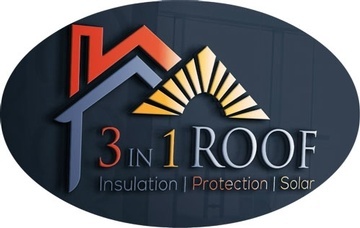 3 IN 1 ROOF does it better than any other roof coverings by being the 1st to introduce a roof tile which allows virtually zero heat transference into your attic and home. This give 3 IN 1 ROOF's products the unique ability to qualify for PACE Financing as an energy-efficiency upgrade, meaning many homeowners will qualify to have their 3 IN 1 ROOF installed with no money down. 3 IN 1 ROOF's Advanced Roofing Tiles are made from a patented, impact-resistant, flame-retardant foam that acts like the walls of a refrigerator, preventing heat from moving through the tiles and into the attic and house (or vice-versa in the winter). The 3 IN 1 ROOF Tiles also feature a highly UV resistant topcoat that reflects heat radiation from the sun, keeping the surface of the roof cool enough to touch even on the hottest summer days when everyone else's roof could practically fry an egg. Not only does this lack of heat transference keep attics cool saving you up to 38% on your heating and cooling costs, but it also increases the life expectancy of the materials under the roof tiles by approximately 300%. 3 IN 1 ROOF is obviously the best thermal protection for your home, but what about from winds and storms? 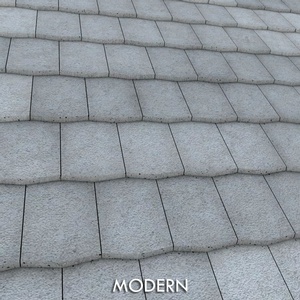 Well it just so happens that the inventor of the 3 IN 1 ROOF Tile, as well as the company's Founder and CEO, came up with the design for this revolutionary product while running his own roofing company in South Florida. After hurricane Wilma hit in 2005, the contractor completed several hundred roofing jobs where he analyzed why traditional tiles failed under such extreme weather conditions and corrected those flaws in his design of the 3 IN 1 ROOF product. Some of the most significant changes include using custom-designed geometry which locks adjacent tiles to each other and provides maximum surface area for the bonding agent to grip the individual tiles, providing a firm hold. The result - When properly installed, 3 IN 1 ROOF's Advanced Roofing Tiles are rated to withstand sustained winds over 200 MPH, well above what is seen even in most Category 5 hurricanes! And when you do need some work done on the roof, 3 IN 1 ROOF Tiles sit flat on the surface underneath so they won't break under anyone's feet. It's a light-weight and durable product designed by a Contractor, for the Contractor. Now what's that we mentioned about solar? 3 IN 1 ROOF is expecting to release an upgraded version of their tiles which have solar panels embedded right in them sometime in late 2018. These 3 IN 1 Solar Roof Tiles will have all the same benefits of the non-solar products, including reduced heat transfer and being virtually "hurricane-proof", plus the capability for homeowners to generate their own clean electric energy which can be exported to the grid or used as a source of backup power. The facts that 3 IN 1 ROOF Tiles reduce your electricity usage first, lasts longer than traditional roofing materials, and reduces the risk of damage during high-wind storms combine to make sure the 3 IN 1 Solar Roof will pay for itself in the shortest time, period. And if that’s not enough, homeowners can be confident that their 3 IN 1 Solar Roof Tiles have been installed correctly because the product uses color coded plugs and wiring for KISS installation. Interested in going solar? Follow this link to learn more about how our Full-Service Solar Consultation can help you save thousands not just on the up-front cost, but throughout your systems's 25+ year lifetime as well. Due to our unique position in the industry, prestigious reputation, and in-depth knowledge of both solar and roofing technologies, 3 in 1 Roof is giving Uptown Energy Solutions' clients first-access to their initial product offering here in Florida. By ordering your 3 in 1 Roof through Uptown Energy Solutions not only will you be first in line to get your product installed, but you will also receive the best installation quality, care, and value through our exclusive Manufacturer-Direct Installation program. Rather than worrying about your local contractor's training and abilities working with a brand new product, why not just let the product's inventors take care of you? With Uptown Energy Solutions, you can be sure your installation will be done right, the first time. Get in touch using the contact form , and let us help shine some light on your road to solar (or just a new roof)!